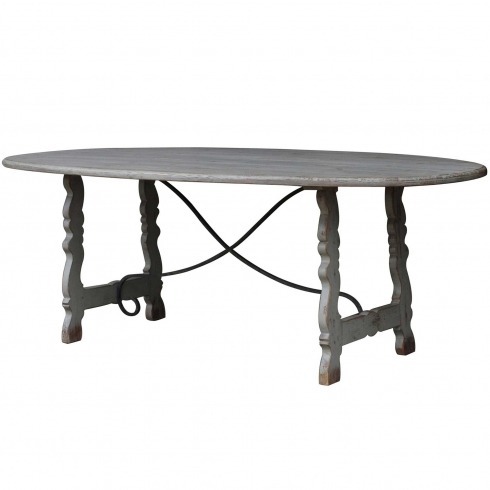 Napoli Dining Table, gray - White x White - Antique and Fine Decor for the Home. The Napoli Dining Table has a base reminiscent of Spanish tables of the 19th century. The oval table is made of reclaimed pine (will likely have nail holes, knots and other imperfections, adding charm and character) with a gray distressed paint finish. The scalloped base is accented with rustic gray finish iron. Seats up to ten. Ships KD. The top may be purchased separately - please call White x White for more information.